Abstract: This paper describes the case study of partnership between Ghanaian and Dutch private partners, the Ministry for Fisheries in Ghana, and the Dutch ministry for Development Cooperation of the Netherlands. The partnership was formed to undertake a project to establish a new commercial supply chain for fresh tuna and thereby address a number of social and environmental issues around the supply of tuna. This project was not successful, and the paper explores some of the reasons for this from a partnership perspective. The case study explains the sometimes divergent interests and motivations of the partners that contributed to the failure of the project, and the way that brokers were used at different times to try and reconcile some of the tensions that arose in the project design as a result. Other issues that arose that harmed the partnership include the lack of monitoring and evaluation, which contributed to challenges in accountability, a difficult political environment, and financial and technical problems within the project itself. The conclusion reached is that the partnership was perhaps an ‘imposed’ mechanism that made the many challenges within the project itself more difficult to resolve than might otherwise have been the case. Effective partnership brokering was introduced, but it was ‘too-little-too-late.’ The case therefore supports the view that partnership brokering, alongside other good practice such as monitoring and evaluation of the partnership, should be a much higher priority in complex cross-sector partnerships. Fishing is a significant economic activity in Ghana. The fisheries sector supports an estimated two million people, representing 10 per cent of the country’s population of about 23 million and contributes 4.5 per cent of Ghana’s GDP. There is a ready market for all types and sizes of fish in Ghana. However due to heavy fishing in offshore waters, and illegal inshore fishing by larger trawlers, fish stocks both offshore and inshore are decreasing and the inshore fishing is severely threatened. Tuna is one of the most important commercial and export species. Since the 1990s a thriving market has evolved in the EU and USA for high quality fresh fish such as line-fished tuna and similar species. Ghana has comparative advantages such as easy access to fishing grounds during a long fishing season frequent and relative low-cost air transport to the EU, and the availability of processing facilities. In the early 2000’s, Mr L. a Dutch investor and consultant with contacts in the Philippines small-scale tuna fisheries industry and with Dutch fish importers, visited Ghana and met with Mr K, a Ghanaian entrepreneur with successful ventures in the shipping and fisheries sectors. Mr K had developed ideas for developing commercial solutions to the lack of a sustainable value-chain for deep sea tuna fishing. Based on Mr L’s experience from the Philippines they developed a proposal for the establishment of a company that would locally build glass-fibre fishing boats suitable for off-shore line fishing by small fisherman. The proposal was submitted to the Dutch PSOM programme for grant financing, but was rejected on commercial grounds (for example a lack of direct experience of many of the essential components within the proposal, and the unproven nature of the technology in Ghana). The Dutch Ministry for International Development (DGIS) supported at least 50 PPP’s, partly resulting from the 2003 Call for Ideas, partly from other initiatives. In response to the 2003 Call for Ideas, Mr L and Mr K assembled a wider group of Ghanaian, Dutch and Filipino partners and submitted a proposal for the establishment of a pilot tuna fishing operation to demonstrate the feasibility of the proposed development of a sustainable fresh tuna export chain as well as a boatyard to supply the required fibre-glass boats. With support from Royal Tropical Institute, Amsterdam (KIT), and building on the previous experiences with PSOM, this first PPP proposal was aimed at developing a sustainable value chain with a positive impact on fishing communities. DGIS rejected this initial PPP proposal but considered it to have potential to address the MDG’s (particularly poverty alleviation and biodiversity conservation) and encouraged the partners to reformulate the proposal. 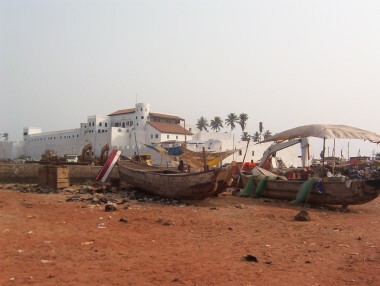 A research mission was carried out by KIT in Ghana in October 2004 and early the next year a revised proposal for a PPP was submitted in which the involvement of the small-scale fishermen was strengthened by the proposed active participation of two fishermen’s associations, the Ghana Inshore Fisheries Association (GIFA) and Ghana National Canoe Fishermen Council (GNCFC). The Gratis Foundation, a NGO set up by the Government of Ghana to promote small-scale industrialization, agreed to be partner in the shipbuilding operations. The Ministry of Fisheries of the Government of Ghana supported the PPP as a non-investing partner. development of a pilot sustainable value-chain of deep-sea line fishing, pre-processing and marketing of tuna and tuna-like species for the international market. This component focused on the establishment of a commercial company: Phineghan Fishing Ventures Ltd.
development of the value-chain of design, construction and marketing of fibre glass fishing boats through the establishment of a commercial JV company: Fine Boat Marine Ltd.
policy development for sustainable fisheries. Minister for Development Cooperation of the Netherlands (DGIS). A boat-maker from the Philippines. A feature of the partnership was that different partners took active interest in different elements of the partnership’s activities. Mr K and the Dutch fishing companies, for example, were investors in both ventures. By contrast, the Filipino boat makers and GRATIS only had interest in the boat making company. Mr L was prepared to invest in the boat making company but negotiated an equity share in the fishing company by way of compensation for unpaid work setting up and managing the project. DGIS were prepared to match the private shareholders 1:1 to finance the project but were not interested in taking an equity stake in either company. They also offered to cover the costs of building the capacity of the Fisheries Associations, to provide funds for the loan facilities, and also, part way through the project, to pay for a consultant to help broker the partnership, with a particular emphasis on ensuring that the fishermen had a voice in partnership governance. DGIS also offered at one point to contract an accountancy firm to help set up systems for the partnership, but this was not taken forward. The Fisheries Associationswere not originally expected to be shareholders in either of the new companies, but following pressure from the Ministry of Fisheries it was agreed that they should be offered half of the shareholding in the fishing venture that was allocated to one of Mr K’s companies. However the Associations were not in a position to pay for these shareholdings, and one whilst efforts were made throughput the partnership to arrange loans for the Associations, even to the extent of a letter of support from the Ministry of Fisheries, this remained an unresolved issue until the end. One of the Filipino companies exited at an early stage, citing the need to focus on other activities. GRATIS wanted to exit the partnership for some time, but with the appointment of new senior management they then decided to stay in, and take a more active role. The public funds from the Dutch government were contributed by a Grant Agreement with Mr L’s company and paid into a bank account in the Netherlands. Funds from private partners were paid into accounts either in the Netherlands or in Ghana, and these accounts were controlled by Mr L and Mr K respectively. The MoU mandated The Ministry of Fisheries, DGIS, Mr L and Mr K (through their companies), GRATIS and the Fisheries Associations (alternating) to ‘…act as a steering Committee representing all partners’. The Steering Committee was set up and met a number of times, but there was a lack of clarity around the division of responsibilities and accountabilities between the Committee and Mr L, who controlled the bulk of the project funds. The Steering Committee also lacked the capacity to fulfill its mandate to monitor the project and report quarterly to the Ministry of Fisheries, and there was also an overlap between monitoring and reporting that was supposed to be done by the Steering Committee, and the grant accountability reporting that was required by the Dutch Government. The result of this was that partners often did not know what each other were doing, and led to misunderstandings and tensions. There were a number of major challenges which prevented the partnership from progressing much beyond the inception phase in terms of its outputs, despite over 2 years of effort and not insignificant expenditures. These challenges fall into technical, managerial and partnering challenges. Some of these are only described briefly, as they fall beyond the immediate requirements of this case example. 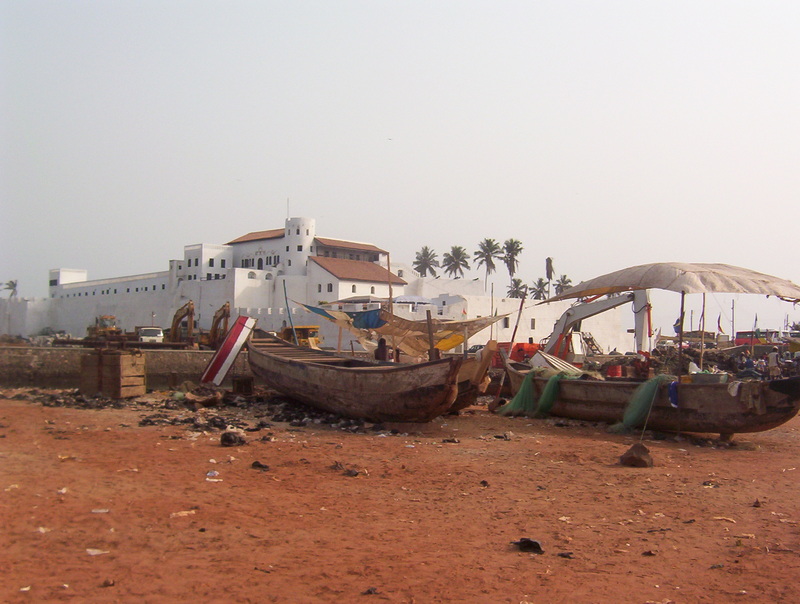 This boat-building element of the project also required a new market to be developed in Ghana for this type of boat, among a market with a low ability to pay, thus making it dependent on developing new sources of credit. In the end, the PPP was unable to make much progress in any of these areas, partly because of their innate difficulty but also because of the other serious challenges that emerged. Not least of these was a significant error that was made with the first order of fibre glass boats from the Philippines. The Filipino partner received funds and made some of the vessels, with the objective of shipping them quickly to Ghana to start testing the fishing methodology and training fishermen, and thereby avoiding having to wait for local construction to commence. However the larger vessels could not fit in a standard container, and so the shipping cost was found to be prohibitive. While a number of suggestions emerged as to how to address this difficulty, with other concerns also crowding in, this problem was not overcome and the boats were never shipped. Under this heading there were a number of very significant challenges that were the direct cause of the PPP not succeeding. Firstly, the partners were not all able to meet their financial commitments. Mr K had unexpected financial problems, caused by a fire that destroyed one of his major assets just as the PPP was beginning. Although he did make relatively significant contributions, reflecting his high degree of commitment, these were necessarily smaller, and later, than was required. The Fisheries Associations did not have funds, and were never able to arrange a loan despite some interest from public-sector backed financial institutions. GRATIS also sought, and failed, to identify a financial backer. For this reason, DGIS and the other private partners were not able to add to their initial investments and eventually the decision was made to end the PPP. However other management challenges were exposed during the period when the PPP was operational. For a project of this scale and ambition the quality and quantity of planning, reporting, control systems and project management was very low. PPP management were not experienced at working with public sector and donor partners, and underestimated the nature of reporting and relationship development required to meet the demands of DGIS as stewards of public funds. Whilst KIT are highly experienced in these matters, because the grant was channeled through Mr L’s company, KIT were not involved in management and reporting for the PPP. There were some very significant partnering challenges. At the simplest level the PPP had a lot of very diverse partners, and as has been described these partners were from different sectors, and had different roles in the implementation of the PPP’s activities. These partners were also from two countries with different cultures. They also had a wide variety of capacities and resources, from a Government Ministry to an Associations representing an artisanal group, and from an NGO managing many complex development programmes to a ‘one man band’ consultant / entrepreneur. Much energy was spent in tasks that in were potentially of great importance to each partner but not adding value in the short term, such as negotiating shareholdings in the respective companies. The governance structures and internal accountability mechanisms also needed to be stronger to help manage such diverse partners. The lack of a management capacity also resulted in generally poor communications and low availability of good information flowing between partners. This issue was made worse by conflicts of interest for some of the individuals in the partnership that clouded governance. These conflicts of interested were between project management roles, for which fees were payable to individuals, and partnership governance roles that required actions on behalf of all partners. The way that the Boards of the two companies that were created would interact with the partnership steering group was not fully understood either, although towards the end of the PPP the partners did agree to a rationalization. The partnership also included a very challenging political environment. The enormous strain that the whole fishing industry in Ghana is under results in frequent tensions between fishermen and government. The government of the day was keen to get the fishermen involved in the sustainable fisheries PPP, and to promote the direct benefits that would flow from the Fisheries Associations holding equity in the enterprise. If all had gone well this would indeed have been helpful, both in terms of providing a source of income to strengthen the Associations (once they had repaid the loan to buy their shares), but also in binding the Associations in to support and promote what would have been an extremely attractive technology in reducing some of the environmental issues that beset the industry. However the immediate effect of bring the Associations in to the partnership was not only to add another layer of significant complexity, but also to make the government and the Associations bed-fellows in the partnership. This proved to be extremely uncomfortable for at least one of the Associations that did not want to compromise its ability to defend its member’s interests by appearing to be ‘co-opted’ by government in any way. The sustainable fisheries PPP perhaps also fell between two stools in terms of being either (1) a private sector owned and led commercial project with a social purpose, or (2) a public sector facilitated inclusive market initiative in collaboration with private sector actors in the value-chain. Because the private sector entrepreneurs turned to DGIS for funding, first KIT, then the Ministry of Fisheries became involved, and finally the Fisheries Associations. New components were added to the original project, such as ‘training and skills development for the various value chain operators’, and ‘policy development for sustainable fisheries’. These were all logical in terms of the use of public funds, but the sum of these changes was a project that had an unfeasibly wide scope, and where the power available from an ‘engine’ of commercial interests was dissipated. The public sector has a strong influence on the PP both as a signatory to the MOU and as the regulator, but was never fully engaged in terms of having to make a full and unequivocal commitment to the project. For example, at one point the Government was reported to be in discussion with organizations that were promoting what appeared to be a competing technology (fibre glass cladding of wooden fishing boats). A simple reading of this case is that the financial difficulties experience by the non-governmental partners, combined with some inherent fragilities and a lack of capacity within management, caused the project to fail before many of the other features of the PPP could be properly tested. However there also appear to be some lessons about cross-sector partnership that can be learned from this case about the role of donors in stimulating and supporting PPPs, as there were a number of partnering issues that seemed to contribute to the eventual failure of the PPP to achieve its objectives. Cross-sector partnership, as a mechanism to achieve development objectives, cannot necessarily make a fundamentally challenging technical project any easier. The underlying project at the heart of the Sustainable Development of the Fishing Industry PPP in Ghana had not attracted support from PSOM because of a number of technical issues, and question marks over the ability of the entrepreneurs to address these challenges. These concerns were not addressed by making this a PPP with a more explicit public good element and public partners. In fact, adding an overt public-private partnering element to the original concept added a further layer of complexity that risked diluting the commercial ‘engine’ powering the initial proposal. The partners were not experienced at working in such partnership, or meeting the needs of public partners. The wider question is whether a donor can successfully impose a partnering approach onto partners, where the partnership is not driven by some internal rationale that make such a model attractive. This driver is often that other approaches have not worked. In this case, the private sector partners may have felt that their commercial proposal was really what was required to achieve their objectives (which were both private and public), and that the public-private partnership was ‘additional to’ rather than ‘inherent within’ their project. There are lessons about how public partners contribute to such PPPs. In the case of the Government of the Netherlands, for example, was it right that the financial contribution was channeled through one partner, and that there was no formal accountability by this partner to the other partners, nor of the ‘partnership’ as whole to the donor for the use of these funds? This arrangement may have led to some of the managerial and partnership challenges noted above. In this case the Government of Ghana was a signatory to the MOU and was active, at Ministerial level, in influencing the direct of the PPP and in actively ensuring that constituencies of importance to it were drawn closer. The Ministry of Fisheries also expected to receive progress reports from the project team and had a seat on the Steering Group. This shows that the Government was hopeful about the success of the PPP, and positive about the partnering mechanism. The Government of Ghana was not contributing resources to the partnership, and was, in this definition, not a ‘partner’, but they did put political capital into the PPP. They were also active in trying to remove some of the road-blocks to success, such as by writing letters of support to financial institutions, and also in their regulatory role, granted permissions to import the fibre glass boats from the Philippines. However there are extremely complex and politicized issues that underlie the challenges that this PPP was trying to address. By engaging the government as a partner, an opportunity may have been missed to move to a commercial model that could have remained ‘outside’ of the tangled systemic issues, but could still have contributed to the solution to at least some of these issues had it been successful. Perhaps in this case the role of government should have remained a more distant one, as the industry regulator, and as a behind the scenes enabler of the project. Asking the government to be a ‘partner’ in such a complex project was not, in hindsight, as positive a move as would have been hoped. It would have required skilful internal brokering to keep these very varied partners engaged, and to ensure that their expectations were being met through the life of the partnership. This brokering was not evident, such that DGIS had to employ external brokers at different times to try to help resolve issues. An external broker was employed at one stage to support the fisheries associations to have a stronger voice at the table. This was as a result of a strong push from the public partner to promote the involvement of the associations. The idea was to strengthen the intended role of the partnership as a pilot model for development of sustainable fishing by their membership and thus contribute to their “public” objectives of poverty alleviation and sustainable fishing resource management. At some point it was agreed that the associations would become shareholding partners in the company through the transfer of part of the shares allocated to the Ghanaian private partner. This decision was the outcome of an lengthy brokerage and negotiating process by RFC, KIT and the partnership broker that had been appointed. However, despite some skilful brokering activity, these actions only resulted in greater complexity. This was probably because the role itself was never scoped in a way that would have allowed some of the fundamental tensions within the partnership to be addressed. The scope of an external broker should allow them to address the health of the whole partnership, not just promote the voice of one particular group of partners. Certainly the broker was not able to improve internal communications or enable greater alignment between the partner’s motives. As it played out, the ‘solution’ to the lack of a voice for the associations may well have aggravated a sense that the public partners were continually raising the bar for the private partners, who were not against the social goals of their project, but were mostly interested in the risk sharing capital that was on offer. As the project developed, and the challenges listed began to threaten the chances of success, a second external broker (the author) was brought in by The Embassy, firstly to undertake two separate reviews of the partnership, and then later to try and broker a viable way forward. He was also unsuccessful. Unlike the first external broker, this role was scoped in a way that did allow him to try to ‘mend’ the whole partnership. While he was able to recommend some changes to the governance of the partnership, and help partners to identify some milestones through which to assess whether progress was being made, in due course the wider problems of the partnership triggered the Dutch public partners to withdraw any further funding. This was an overambitious project, both from a technical perspective, but also as a partnership. At two stages within the partnership’s life, external brokers were brought in to try to address very significant challenges. It is a good example of why such brokering can be useful. Sadly, this lesson can be drawn in a negative sense, in that the brokering was first too limited and scope, and the second brokering was simply too late to make a difference. While the partnership may have failed in any event, due to the many challenges outlined in this paper. Donors who want to support public-private partnerships could well give them a better chance of successful by either providing, or insisting on, an external broker to be involved from a very early stage and with a remit that covers the whole breadth of the partnership. Sourcing: This report is an amended version of a report that was developed for the ‘Partnering with Governments’ programme. The programme aimed to build the capacity of governments to partner more effectively with business and civil society. The programme was a partnership between GTZ – Gesellschaft für Technische Zusammenarbeit, IBLF – the International Business Leaders Forum, and corporate partners: Microsoft, Rio Tinto, SAP, Shell and Shell Foundation. It was coordinated by The Partnering Initiative. Disclaimer: All views expressed in this report are those of the author or are a documentation of the outcomes of a meeting or interviews, and do not necessarily represent the views of GTZ, IBLF or any of the corporate partners. 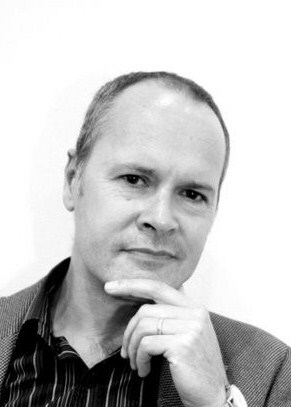 Tom Harrison is a sustainable development professional with 25-years experience from more than 15 countries across Africa and South Asia. An accredited broker of cross-sector partnerships, Tom’s main interest is the contribution that partnerships between the private sector, government and NGOs can make to addressing poverty and disadvantage. In recent years Tom has been working on the Business Innovation Facility (BIF). BIF supports companies to develop or scale-up innovative ‘inclusive business’ models. It aims to increase the number of business initiatives that are profitable and have a positive impact on international development outcomes. Tom has provided partnership expertise to the team, as well as undertaking management roles. Other clients in the past 5 years include UNDP, where Tom supported the Private Sector Division in New York to research and draft new guidelines for working with business, and the Dutch government. Tom has also worked frequently with The Partnering Initiative and the International Business Leaders Forum (IBLF), planning and implementing partnering workshops and managing programmes for, among others, GIZ, UNICEF, World Vision and the HANSHEP group of donors.